Cash, zombie knives and an extendable baton were found by police when they raided a property in Bridlington. Humberside Police said officers had executed a warrant at a property on Blackburn Avenue under the Misuse of Drugs Act today. Cash and cannabis recovered by officers during the execution of the warrant. Approximately £5,000 in cash and a significant amount of cannabis were found inside. A ‘zombie’ knife and an extendable baton were also seized along with a number of mobile phones. 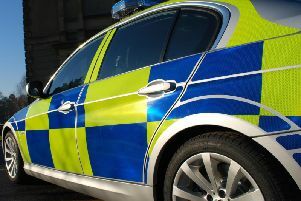 A 24-year-old woman and a 32-year-old man, both from Bridlington, have been arrested on suspicion of possessing a controlled drug with intent to supply. Inspector Paul Bennett said: “This a yet another warrant that we’ve executed which has resulted in yet another seizure of drugs, cash, and this time weapons. “It’s just one good example of our ongoing work to tackle drugs crime around our force area.